Assisted Living: What Is It? 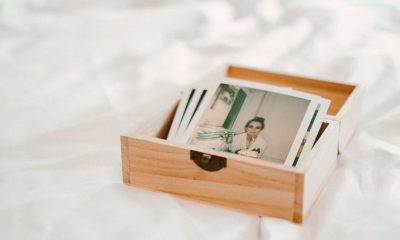 When Should I Move My Loved One? According to CDC statistics, there are around twice as many assisted living facilities as nursing homes in the United States. Many seniors may need assisted living, but many never need to make the transition to a nursing home per se. Others may live in a regular assisted living home for years, but need nursing home care toward the end of their life due to medical problems or dementia. Moving a loved one into an assisted living facility stirs up many questions: Will they be taken care of? Are the people in charge really qualified? Is assisted living really the best option? But the most important question of all: Will they be happy there? These questions are completely warranted, but they make it much harder for you to decide whether or not assisted living is for you. The decision of whether or not to use an assisted living facility can often come during hard times as your elderly loved ones shows signs of slower mobility and cognizance. When you’re trying to find a solution quickly, these searching questions can leave you feeling frantic. We’ve compiled the most common questions you might have when choosing an assisted living facility. Assisted living facilities offer residents long-term services to assist in in day-to-day activities. Assisted living is different from other senior care homes as its focus is on helping seniors with basic needs and some medical attention. Assisted living facilities are also known as assisted living homes, assisted living residences, or senior homes, and offer solutions for those who need help with their ADLs (activities of daily living), which include feeding, walking, bathing, dressing, toileting, etc. Residents primarily include aging seniors, seniors with health problems or disabilities, and those who cannot live on their own. In an assisted living home, residents receive medical care and help with their daily functions. Expert caregivers are available 24/7 to monitor medication, assist with transportation, and attend to personal needs. Your mind will rest with ease knowing there are staff members taking care of your loved ones around the clock. Your loved ones will also be able to relax and enjoy themselves since most facilities will ease the burdens in lifestyle maintenance. Assisted living facilities offer services in housekeeping, cooking, laundry, and other maintenance tasks. The homes also provide meals everyday, sociable activities, fitness activities, and community programs that will enrich the residents’ lives. Assisted living communities offer many advantages for its residents, which includes fostering a social environment so residents will not feel alone or isolated. However, keep in mind that an assisted living facility is not the same as a nursing home. There are many differences between the two and if you’re not sure which housing solution is right for your loved one, take a look at our article on the differences between assisted living and nursing homes. Related: Assisted Living vs, Nursing Houses: What’s the difference? Each assisted living facility will have its own range of services. The main priority of each living facility is to accommodate the daily needs of its residents. Below we’ve listed the services that are common to every assisted living facility. Personal Care Services bathing, dressing, taking medication, etc). Location: The costs vary across states and different regions. The national average cost of assisted living in 2018 is $3,750 a month and $45,000 a year. The states with the highest national average (which ranges around $5,000-$6,000) include New Jersey, Massachusetts, Maryland, Maine, and Connecticut. States with the lowest average and a range of around $3,500 include Arkansas, Alabama, North Dakota, Louisiana, and Mississippi. Every state has a different cost of living, which will affect the cost of assisted living in your circumstance. For instance, as of 2019, the average monthly cost of living in San Francisco is $5,500 whereas in Tampa it is $3,000. Be aware of how your location can influence the overall costs of assisted living. 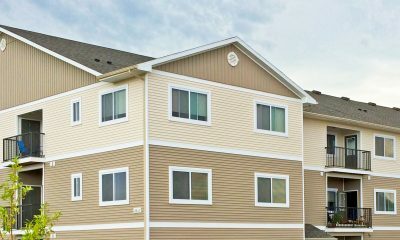 Type of Residence: Assisted living communities vary in size, which can affect the rent and the overall costs of living. You can find smaller facilities with just 5 or 10 beds, to a large apartment complex with hundreds of beds. The cost will depend on the type of residence, the basic services provided, the size of the room, etc. Additional Amenities: Most assisted living facilities will offer the basics of day-to-day needs. However, some facilities will offer additional amenities that will add to your monthly costs, such as having a private room, a private telephone, personal refrigerator, etc. For many, the cost of assisted living would be a major deciding factor. At first, assisted living might look very expensive. However, when you consider the quality of life and the services you are receiving, the overall costs may seem more affordable and feasible than another options. Take a good look at the facility’s contract. Make sure you’re only paying for what you need and ask as many questions to have clarity about any additional fees or costs. Ask the facility if there are any plans that allow you to customize the programs and assistance according to your loved one’s needs. Take note of any refund policies (if there is one) in case you decide to shift your family member to another facility or take them back home. Ask the facility about the costs of any additional services that are not included in basic needs. If you are seeking government assistance for financing your assisted living costs, note that assisted living is not covered under Medicare. However, in some states Medicaid can cover certain costs. Long-term care insurance can help cover the costs of assisted living. Read more about budgeting for assisted living here. Long-Term Cost Benefits: When deciding if assisted living is right for you, the costs are a significant factor. You may find these expenses overwhelming. However, when you consider alternative options such as the costs of taking care of your loved one on your own, the benefits are clearer. The facility can provide services that are not always available with a single caregiver, such as utilities, meals, social activities, medical assistance, etc. Supervision: Another benefit is having around-the-clock supervision and assistance. Many elderly seniors and those with disabilities require constant supervision to ensure their well-being, health, and safety. Helpers can make sure residents are eating meals, taking their medication, are socializing, and more. The resident’s needs are being met by qualified help, which is one of the main reasons why assisted living communities are beneficial to a senior’s overall health. Medical Assistance: The elderly community often face the risks of a medical emergency. Living at an assisted living facility can lowers these risks because of constant supervision and onsite medical personnel. Social Activities: Many seniors struggle with isolation and loneliness when by themselves. Residents at an assisted living community will create more opportunities for seniors to be active and socialize with one another. Does your loved one have trouble with mobility and is in need of physical support? How independent and active are they? Can they handle basic tasks like taking medications and bathing themselves on their own, or might they need some help with those things? Asking these questions can help you determine and evaluate what your senior’s needs are. 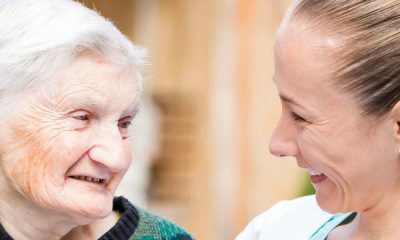 With diseases like like dementia and Alzheimer’s, you will need to find extra support from a memory care home, which can provide the medical assistance and programs needed for treatment. Be sure to inform the facility of any dietary restrictions, preexisting medical conditions, and physical limitations to ensure that the facility can accommodate your loved one’s needs. Although the federal government does not impose any standards on assisted living homes, each state has its own list of regulations and required licenses. Every assisted living facility needs to get its certification or license in order to meet requirements and operate according to state standards. Once a facility meets all the requirements, it gets its license. Look into your own state’s requirements and your assisted living home‘s license. Assisted living costs can range anywhere from $1,000 a month to $5,000 depending on where you are located and what kind of services you need. Setting a budget and planning ahead will allow you to narrow your search to facilities that are affordable and able to provide the basic needs for your senior. While assisted living facilities are regulated in all 50 states, the amount of information you can find varies greatly. Some state websites have public records allowing the public to check an assisted living facility‘s background and performance history. Other states merely offer a list of notable facilities. There are many important steps to take as you are finding the right home for your loved one. One tip we give to our clients is to set up a tour for the facility you are interested in. Our advisors are more than happy to schedule an on-site tour for you and will give you a list of things to look for as you visit the site. Here are a list of questions to ask as you tour your chosen facility. Finding the right home for your loved one is a big decision. There are many factors to consider, and one of the best ways to find the right place is to take your time to do your research. We understand how your loved one’s health and circumstances can add greater stress, so we recommend taking the time to call in and ask for help from one of our advisors who can simplify the search for you. We can set up a tour for you for the facilities you want to visit and help you weight the pros and cons of your options. Your family member needs specialized care: There is no doubt that patients with disorders like dementia and Alzheimer’s need specialized care and you may not have the skills to correctly treat a patient. 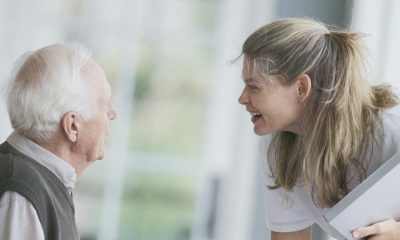 Nurses and caretakers at assisted living homes have prior experience with such medical conditions and thus know what to do and when to do it. There have recently been accidents or close calls that could be a red flag that living alone may not be completely safe.Accidents happen, but as a person gets older, they can become more likely. If you or your parent have recently fallen or had a medical scare at home, it might be time to move to assisted living. Slow recovery or complications from a recent illness. For older seniors, routine colds and flus can pose a greater risk of complications like pneumonia or bronchitis. In an assisted living home, better access to medical care immediately can help attenuate these risks. A chronic health condition is getting worse over time. Physical illnesses like COPD or heart disease, as well as neuropsychiatric conditions like Alzheimer’s disease and other forms of dementia, are often progressive. Assisted living facilities help patients with these issues better manage these health conditions, with nurses and other staff available to help with things like administering medications and arranging doctor’s appointments. If your loved one is in need of specialized long-term care, Senior Care Center is here to guide you to the right place. Our advisors are available to answer any questions and concerns about financial planning, and we are more than happy to assist you in your needs! Call us now at (866) 518-0936 to set up a one-on-one appointment with a personal advisor. We’ll walk you through the process step-by-step. We can also set up tours for you to view each community you are interested in. Our advisors will help you explore every option available, and will help you examine the benefits of each residency. We’re happy to help you select the right home for your family. Assisted Living vs. Nursing Homes: What’s the Difference?